The landscape in modern sport has continued to shift over the last 25 years. Emphasis is increasingly placed on athletes's recovery, nutrition and injury prevention exercises. Professional sports teams, in particular, examine the ways in which their athletes move and attempt to identify if there are optimal methods for performance. 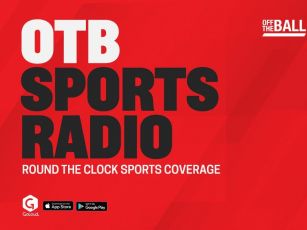 On Wednesday's OTB AM, former Olympic sprinters Dr. Tom Comyns and Gary Ryan highlighted the prevalence of good running technique across a range of sports. "You can see in the United States how many more track and field athletes are making their way through the draft and winning professional contracts in the NFL," said Dr. Tom Comyns. "I think you see in rugby and in a lot of the professional sports, they've taken on this idea of athletic development. They're now employing specialists who have a background in track and field. "So, at an early age, they are getting some grounding in decent technique. "If you have good technique you can get quicker - it then becomes a valuable commodity. It's kind of geeky but you talk about watching people in other sports and if I [was advising] someone I'd be talking about knee-lift or leg-drive and how they can improve. "It's probably important to get that from eight, nine or 10 years old. Exposure to athletics is a great support for it." Glaway's Joe Canning evades the challenge of Clare's Jack Browne. 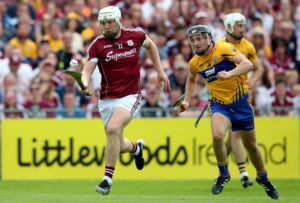 Dr. Comyns cited hurling as one of the sports that he saw most room for improvement, taking into account the speed of the game. "When you're talking about short distances, in hurling the average sprint is 14 metres. How much can you gain in 14 metres? A significant amount. All you need to win is every contest by a metre. "It makes a huge difference. Good technique can make a big difference." Barry Geraghty on Moscow Flyer: "He was something else"
"Doping was an open secret in our sport"